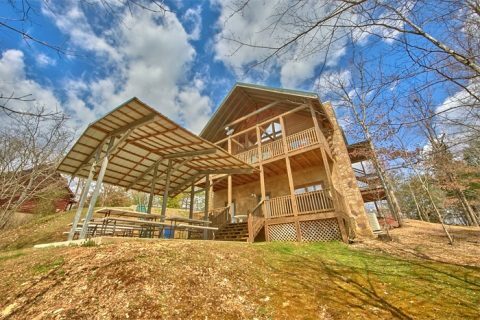 Have you been searching for a big Pigeon Forge cabin for your family reunion, church retreat, or other festive occasions? 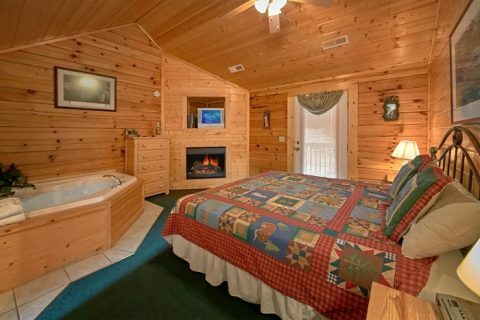 Look no further than "Alexander the Great!" 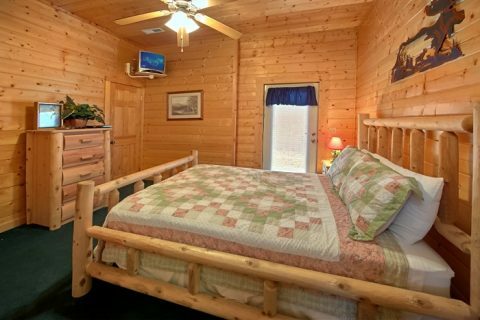 This cabin could house a small army and offers enough space to entertain and sleep up to 22 guests. 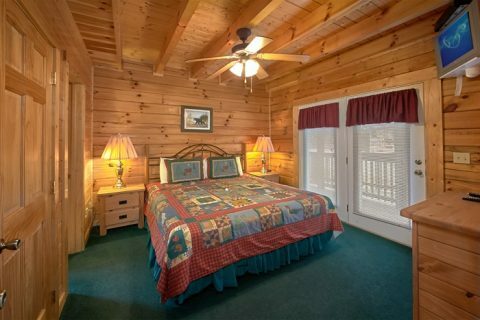 Your cabin's convenient location places you only a mile and a half from the fun and excitement of the shows, restaurants, and shopping outlets on the Pigeon Forge Parkway. 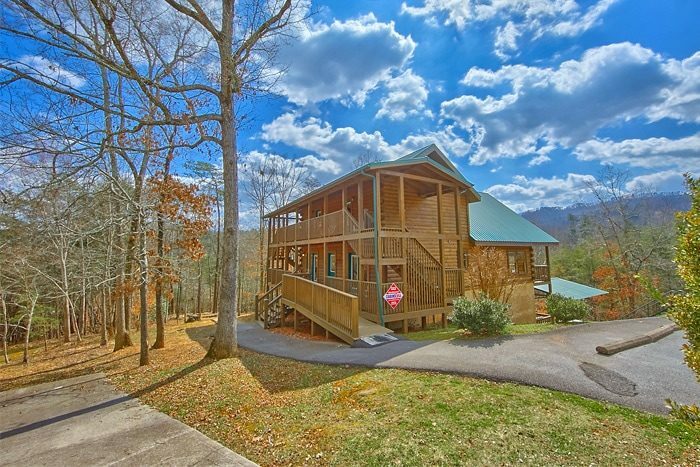 With a great location and plenty of space, there's no wonder why this cabin is a great choice for large groups in the Smokies. 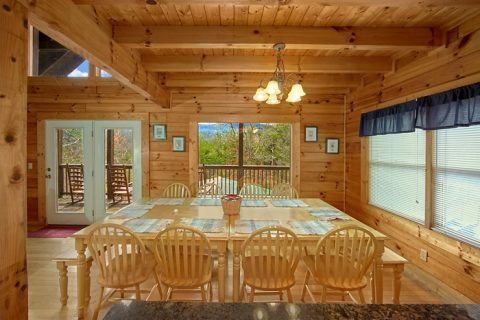 Your large Pigeon Forge cabin not only features a prime location, but it also offers plenty of room to entertain your group both inside and outside. 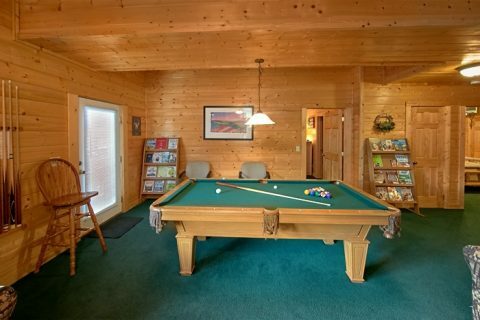 Your cabin's game room provides a pool table for you to enjoy friendly competition. 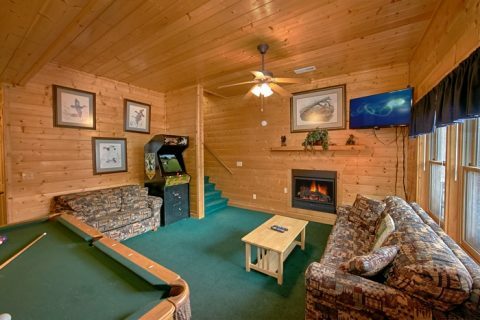 Stream your favorite games and movies via the wireless internet or relax in the living room while watching cable. 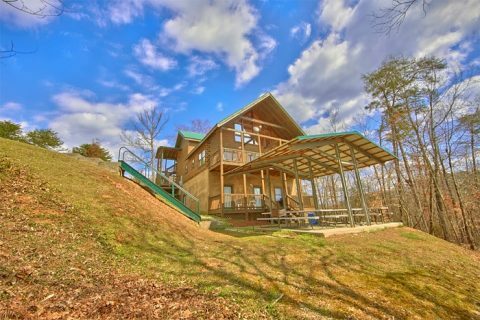 Go outside you and your family will find plenty of space to have fun as well. 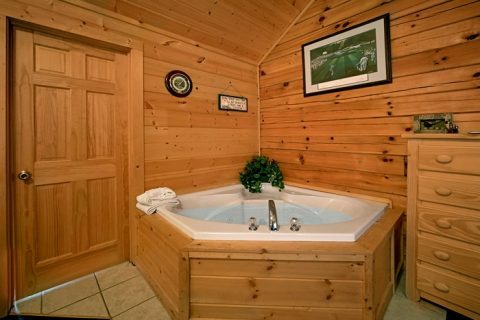 Unwind in the warm waters of your hot tub and let your cares and worries float away. 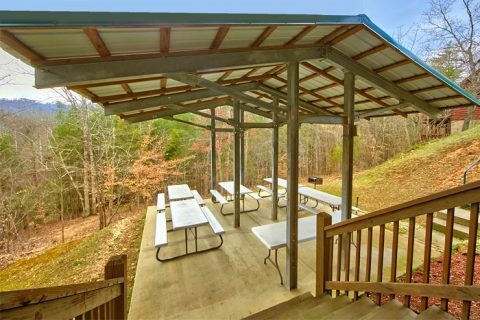 On a warm summer's day, host a cookout on the charcoal grill and gather the whole family at the picnic area that seats 36 people. 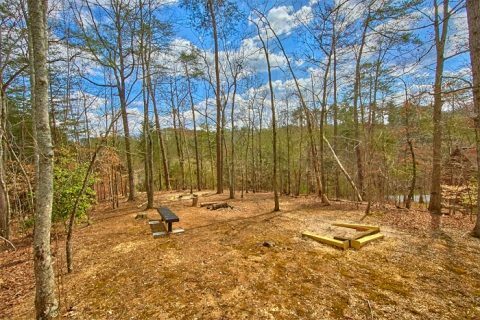 While the food is cooking, there's a play area and a horseshoe pit to keep the kids and kids at heart entertained. 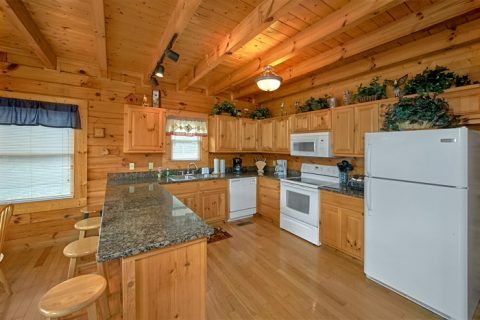 Back inside, your spacious kitchen gives guests the space to cook delicious meals at a fraction of the cost of eating out - a great savings opportunity for large groups. 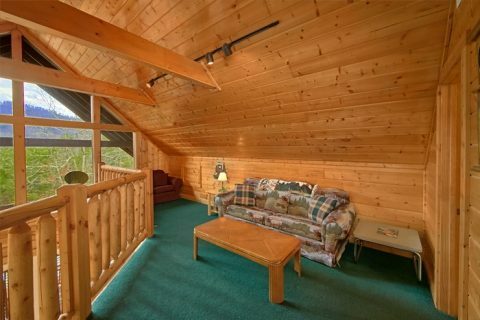 Thanks to its location in Eagles Ridge Resort, guests of this cabin will also enjoy seasonal pool access. 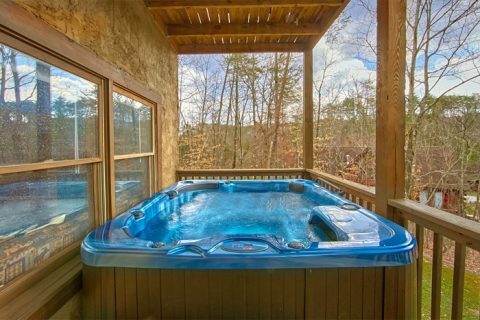 You'll love staying cool during the warm summer months and the kids will appreciate having a place to splash and play in the water. 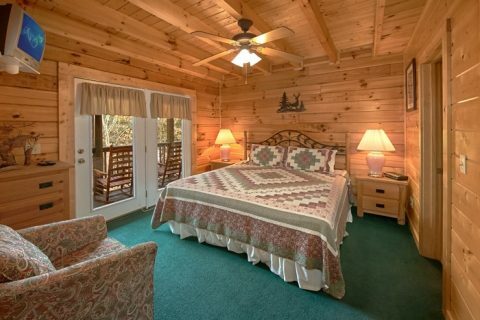 When you need hit the hay after a long day at work, there's plenty of room to enjoy a great night's sleep in the Smokies. 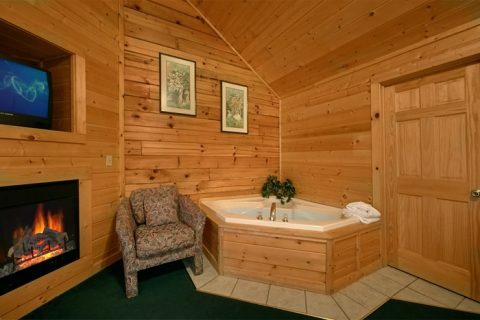 A restful night in one of the 2 master suites with king beds, private jacuzzi tubs, and fireplaces will leave you feeling refreshed and ready for another day of adventure. 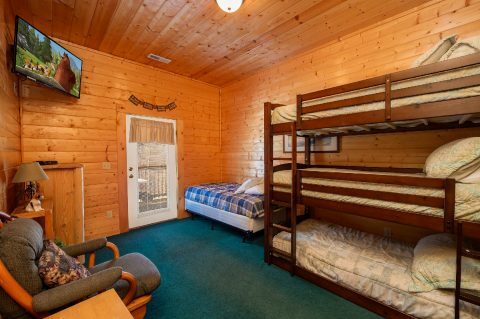 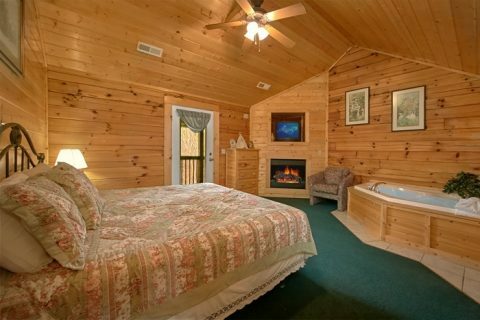 In addition to your luxurious master suites, there are an additional 2 other king bedrooms, 2 queen bedrooms, 2 sets of twin bunk beds, and 3 sleeper sofa, giving everyone room to rest and relax in the Smokies. 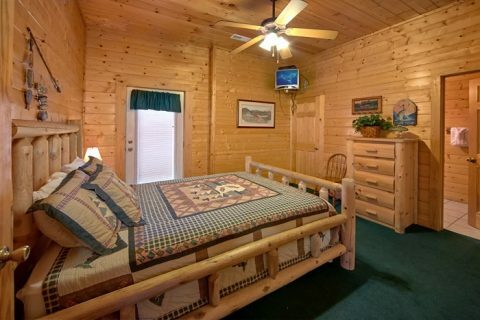 Additionally, every bedroom houses its own TV with cable and a DVD player - perfect for late night movie viewings. 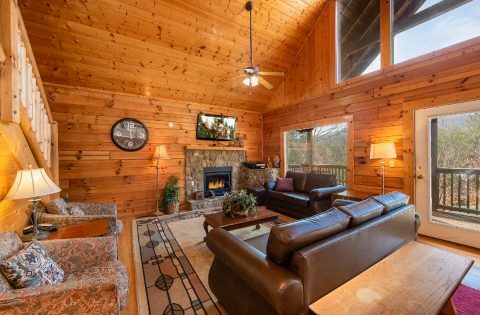 With so much space to relax and unwind, you can be certain that you and your large group will experience the Smokies in luxury and style. 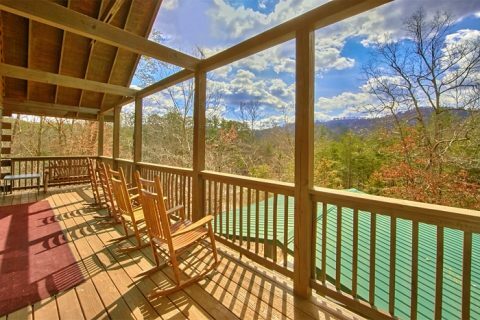 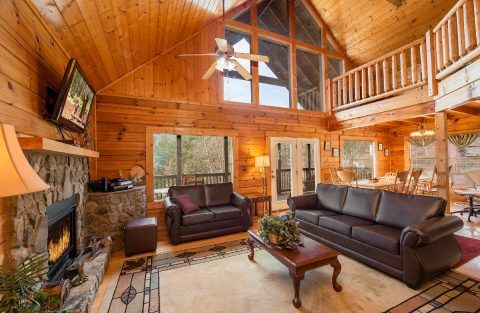 Book this Pigeon forge cabin rental for your group today and enjoy an unforgettable large group vacation in the Smoky Mountains of Tennessee!